There’s been some debate over whether or not to continue the traditional calendar time in kindergarten and I had to decide for myself where I stood on all this. 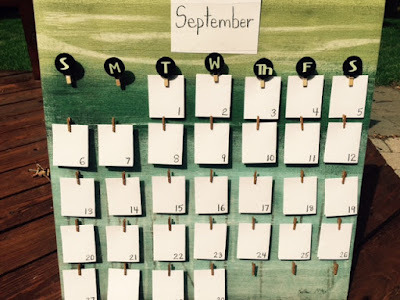 While I do agree that somewhere along the way we may have gone a little overboard with our calendar routines and that maybe that wasn’t the best use of our time, I am not in favor of removing it altogether. In the past couple of years, I have scaled back quite a bit. My calendar routine has been simple with a clear focus. I wanted my students to learn how to use the calendar as a tool for planning and organizing themselves. We used it to mark days that homework folders go home and come back. We marked days that special events were happening at our school and days where they would only be there for a half day. This was all useful and relevant information for the children and I found them using the calendar independently throughout the day to answer their own questions about time such as, “How many days until my birthday?” Without a posted calendar (or with a Smart Board calendar that is hidden for most of the day) they would have needed to rely on adults as the “keepers of this knowledge” to supply the answer. I also see value in the calendar because of its connection to the natural world and the seasonal cycles. Whether we are waiting for seeds to sprout, chicks to hatch, or for the first day of spring to arrive, counting days and marking time is a natural part of all this. While some might suggest that kindergarteners are not developmentally ready to grasp the concept of time, and that teaching about the calendar might be better placed in first grade, I would liken it to the notion that just as we don’t wait until they learn to read to put a book in their hands, it is not necessary to hold off on exposing them to the calendar. So while I am not in favor of ditching the calendar altogether, I did see the need to make some changes. First of all, my calendar needed to be removable. The bulletin board that it hangs upon is somewhat hidden by my easel. While this will still be its permanent spot, I wanted to be able to take it down when the children and I are referencing it. Secondly, I wanted to move from a commercially-made calendar to one that the children were involved in creating and keeping. Here's a picture of next year's calendar that I made from a painting I found at a thrift shop. The children will be responsible for writing the name of the month as well as the numbers (I did it for September just to get us started!). They will also be involved in drawing symbols for specials days such as their birthday, holidays, weekends vs. weekdays, no school days, etc. Lastly, I wanted to begin to use the calendar as a way for us to journal and keep track of our time together. Each calendar date is made from a folded index card. At the end of each day, the card will be removed, flipped to the other side and used to record a “small moment” from our day (student-drawn picture on the outside and words on the inside). The card will then be placed back on the calendar and the children will be able to see the days that have passed and the days that are yet to come. I have not yet decided what we will do with the cards once the month is over. It would be nice to glue them to a piece of tag board and create a “small moments” timeline. Not sure I have wall space for this, but maybe you do! Are you using a calendar? If so, what does your calendar look like and how are you using it? I'm late to the party on this post, but just discovered your blog. After teaching Pre-K for 30 years, I'm moving to Kindergarten in the fall and so am beginning to gather ideas for setting up Kindergarten. I'm in a Reggio inspired public school now, so we didn't do calendar with our Pre-K kids, but prior to that I spent two years in another more traditional public school. Searching for a way to 'do calendar' appropriately I decided on a linear calendar with pockets that the children could add things to, events (school & home), birthdays, holidays etc...it seemed to make more sense to them, so I'm hoping to do something like this in K next fall. Welcome to kindergarten! Your calendar idea sounds great! I like the idea of the pockets.